You'll never believe how juicy and delicious these burgers are! Full of flavor and perfect for grilling season. Top them off with your favorite burger toppings, like lettuce pickles and tomatoes. This is the perfect burger for your grilling season. See how to prepare your grill for a safe grilling season. Learn how to prepare your grill for fantastic grilled food. 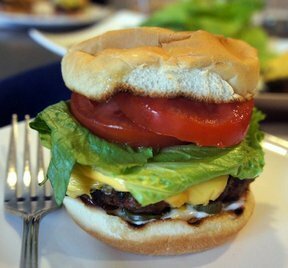 Great tips on how to create the best burger possible every time you grill this summer.